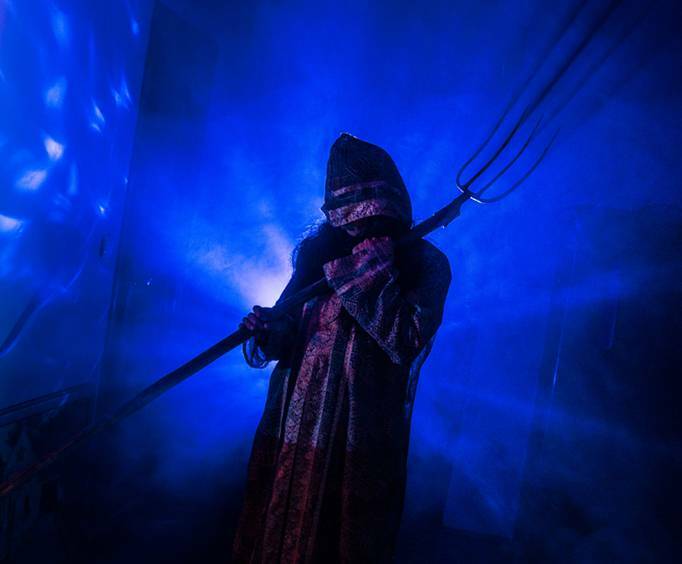 Enter this terrifying house at your own risk, but beware - Branson's Haunted House attraction is unlike any other you that you have every visited. The realistic animatronics bring the ghouls and goblins to life and are sure to scare the wits out of you. Watch out for the things that go bump in the night, like the menacing monsters and angry poltergeists. Tiptoe quietly down darkened hallways and through shadowy and dusty rooms, trying not to wake the dead. Are those creatures of the night sneaking up behind you, or is it just your imagination getting the most of you? Through long, dark hallways, heebee-jeebee music, and disorienting lighting, you won't know what to do! After a visit here, you'll be sure to check under your bed and in your closet before you settle down for the night! If you'd like to extend your time of scares into an intriguing time of education, there is the Haunted House and Dinosaur Museum combo. The Dinosaur Museum presents life-sized sculptures of dinosaurs, interactive exhibits and more. Younger ones can dig up bones in the sand and older ones can view a high-definition informational video. Double your entertainment with the Haunted House and Dinosaur Museum Combo. I went to this one day and had so much fun!